All Devon homes currently listed for sale in Devon as of 04/22/2019 are shown below. You can change the search criteria at any time by pressing the 'Change Search' button below. If you have any questions or you would like more information about any Devon homes for sale or other Devon real estate, please contact us and one of our knowledgeable Devon REALTORS® would be pleased to assist you. "Prime Location: 301 Berkley Road is a beautiful, private, 1+ acre level lot on a quiet, tree-lined street located in the sought-after neighborhood of South Devon. Within the top-rated Tredyffrin-Easttown School District, it's walking distance to Devon Elementary School. 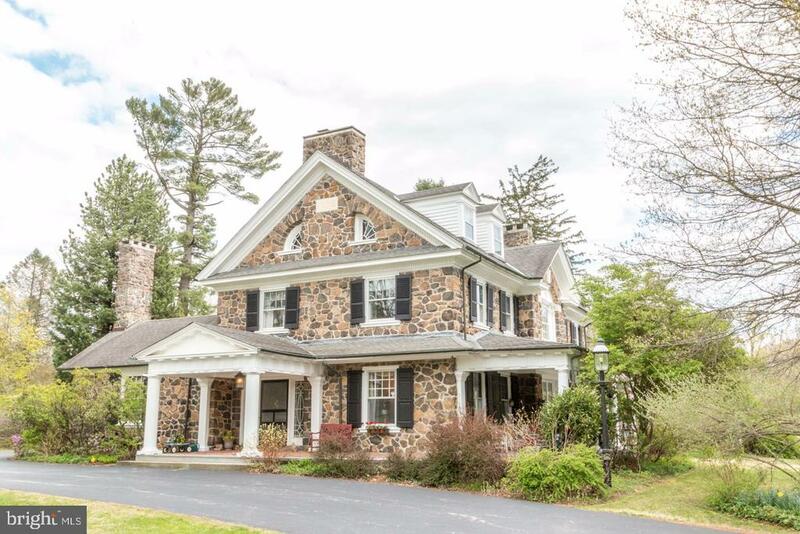 Just listed: It is available with a beautiful, custom-designed Stone Colonial home of 6,100 square feet. As configured, the plans include First and Second Floors with the following luxurious features: Five Bedrooms, including an extraordinary Master Suite with fireplace, sunny reading room, private deck, lavish bathroom, gracious entrance area & dressing space, generous His and Her walk-in closets, and bedroom with tray ceiling Four full baths and two powder rooms Five fireplaces, including in the Living and Dining Rooms, Study, Family Room, and Master Bedroom Gourmet Custom Kitchen with Butler Pantry and Private Office or China & Silver Pantry First floor Library and Sunroom Gracious Main Stair and convenient Back Stair, with central 2nd. floor stair to the bright & spacious Full Attic. Second floor Den & Laundry Daylight Full Basement Mudroom & Three Car Garage The walk-up attic and windowed basement offer the opportunity to add living space for recreation, exercise, wine cellar, home theater, or in-law/ au pair suite. The property features beautiful mature trees, plenty of open space for outdoor entertaining and playing, and can accommodate a swimming pool. Utilities include public water & sewer and underground electric service to the site. Other properties are coming, and we invite you to sit down with us to discuss these opportunities to build your custom home with us from one of our plans, your own, or to create one using one of the many area architectural firms we have worked with. 301 Berkley Road is a rare opportunity to build your beautiful new home in an exceptional established neighborhood. Construction beginning soon. (**OTHER LOTS ARE CURRENTLY AVAILABLE! **)"
"This exquisitely crafted residence designed by Peter Batchelor and built by Ted Babiy is set in the coveted Devon Estate Area on a flat, beautifully landscaped 1.1 acre lot, complete with flagstone terraces, outdoor stone fireplace and bocce court. Exceptional architectural materials and designs are used throughout both the exterior and interior of this timeless property, using only the finest materials and finishes. Features include a solid stone fa~ade and chimney with brick detail, and open sun-filled floor plan with 9' ? 10' ceilings, expansive windows and transoms, stunning moldings and millwork, arched casements, site finished random width oak floors, gracious Living and Dining rooms with fireplaces, stunning Library with natural cherry ceiling detail and built-ins, state-of-the-art white Gourmet Kitchen with 4-burner commercial double Thermador gas range and double oven with warming drawer, refrigerator/ freezer, dishwasher and large eat-in/ working island, spacious Breakfast Room opening up to Family Room with custom built-ins and stone fireplace, mudroom with brick floor leading to oversized 3-car Garage, private second floor Master Suite, 4 additional generous bedrooms, two with En-suite baths and two sharing a Jack and Jill Bath, Laundry Room in close proximity to the back staircase, and a finished multi use basement with full bathroom and neutral d~cor. 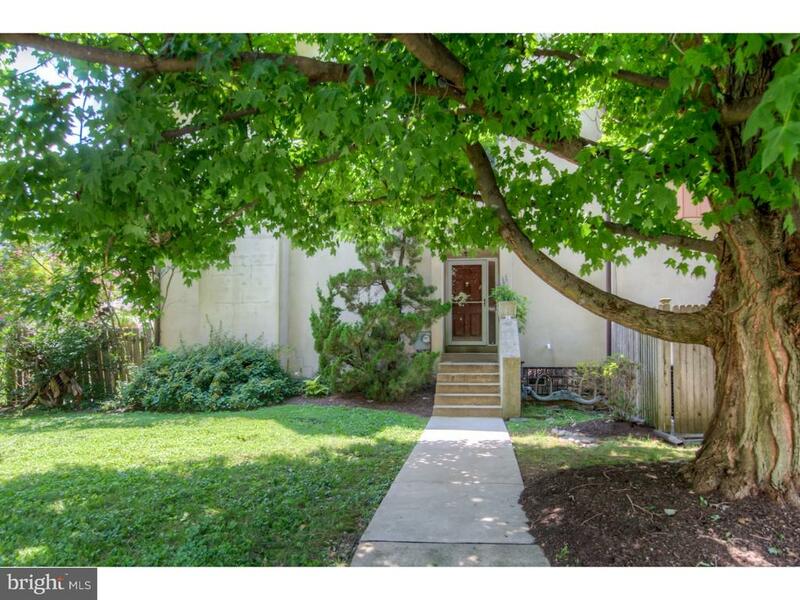 Enjoy this walkable neighborhood in close proximity to renowned TE schools, trains, Whole Foods, Wayne, all commuting routes, Center City Philadelphia and the Philadelphia International Airport. Move right in." "A once-in-a-lifetime opportunity to live in a home designed by the same man responsible for Appleford and the restoration of the Betsy Ross House. This spectacular home was designed by R. Brognard Okie in 1902. Enter into the impressive center hall with a dramatic staircase, on the landing an inviting window seat with an exquisite Palladium window. First floor includes the Library, Front Parlor and connected Sitting/Music Room, Formal Dining Room, Powder Room, Coat Room, Kitchen, Laundry Room, and a bonus room that is currently being used as an Office but has also been a Crafts Studio and a Homework Study. There are 6 fireplaces in this magnificent home, 4 of which are on the first floor with one in the charming inglenook with seating and cupboards under the stairs! Three first floor fireplaces are gas fueled. There is also a separate Suite located on the first floor with its own entrance that is fully handicap accessible and has an additional second floor bedroom. With exquisite moldings throughout, everything in this home has been appreciated and preserved by the families that have lived here. Okie's love of woodwork and his clever design style is truly showcased in this Colonial Revival masterpiece, full of light-filled rooms and nooks and crannies (to the delight of the young ones who have enjoyed this wonderful home). With over 7,000 square feet of living space, 8 bedrooms, 4 full bathrooms and 1 half bathroom, this world-class property is a rare piece of Main Line history. Oversized 2 car garage with staircase access to large unfinished space above. Could be finished into a great workspace or studio. 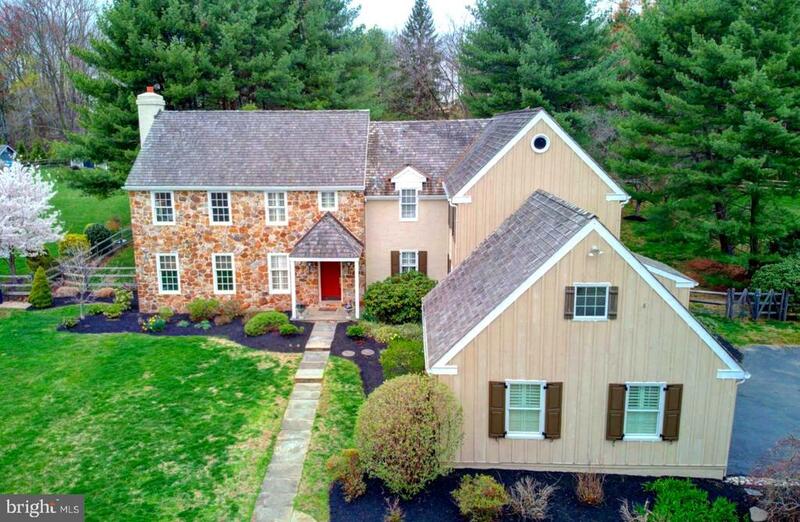 Set on 2.9 acres of glorious grounds with a private swimming pool in Pennsylvania's #1 School District, Tredyffrin-Easttown." 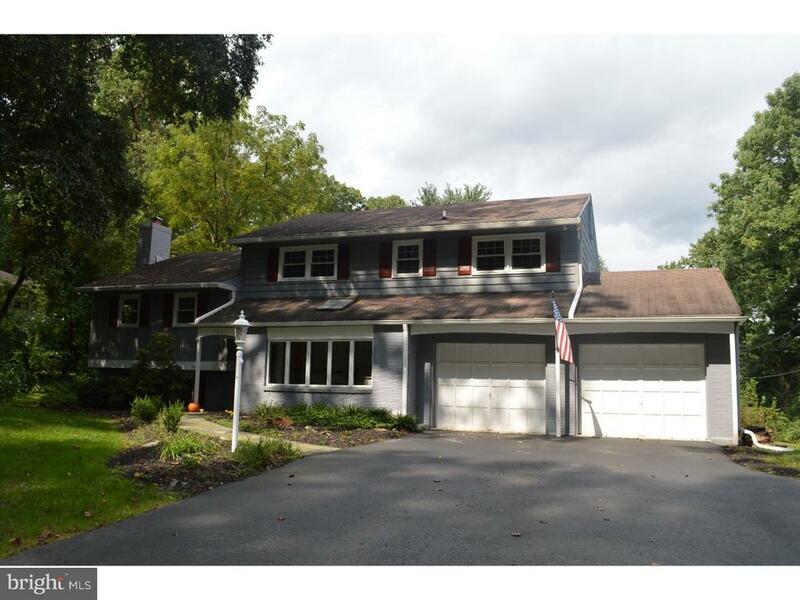 "Stunning 5 bedroom, 5.2 bath located on a desirable street in the heart of Easttown Township. Completely renovated in 2016, this home offers over 6000 sf of luxurious living and all the amenities for today's most discriminating Buyer. The bright open floor plan is perfect for entertaining. Gleaming hardwood floors throughout much of the home and crisp white walls make this home look clean and modern. Highlights include gourmet chef's kitchen, large sunlit family room with coffered ceilings, fireplace, Sonos sound system, formal dining room, living room with bay window with fireplace, private office and large first floor bedroom with private full bath. Upstairs, a wide hallway leads to the sumptuous master suite with fireplace, wardrobe room and beautifully appointed master bath. Three generously sized bedrooms, second floor laundry and huge bonus room complete this level. The walk out lower level is partially finished with modern updates including full bath and fireplace offering the perfect recreational hang-out space. 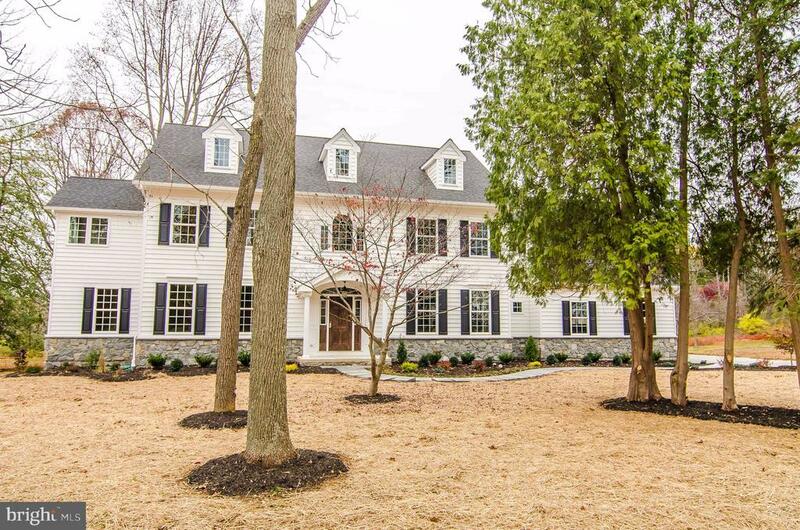 For more information go to www.518millbrookrd.com"
"This stunning French Colonial in Radnor Dorsay community strikes the perfect balance between grand architecture and modern style on a gorgeous level lot nestled on an exquisite cul-de-sac. Updates and renovations throughout compliment the workmanship of the original renowned builder, C.F. Holloway. The fresh and polished updates begin as soon as you enter the home with newly refinished hardwood floors and painted walls highlighting the elegant two-story foyer, curved stairway, arched doorways, soaring ceilings, and beautiful millwork. The foyer is flanked by the light-filled dining room with enormous arched windows and impressive living room with wood burning fireplace and custom wall of built-in book shelves. The considerable family room serves as an amazing entertaining space with a striking stone gas fireplace, wet bar area, and loads of natural light by way of oversized windows and skylights. All of this is open and flows directly into a spacious updated kitchen with soft white cabinetry, honed granite countertops, two wall ovens, a warming drawer, eat-in island with gas cook top, and perfect view of the spacious brand new deck! A second staircase and handsome butler~s pantry can also be found right off the kitchen. Also on this floor is a sizable den/office just off the family room that features a huge corner window and built-in shelving unit, as well as a powder room, mud room area, laundry room and access to the 3-car garage. The second floor has five bedrooms and three full baths including a palatial master suite with generous walk-in closet and brand new fully renovated bathroom featuring marble floors in a herringbone pattern, free-standing tub, marble shower, and so much more. The finished daylight walk-out lower level comes complete with another full bathroom, exercise room, billiards table, and plenty of space to relax or entertain. Recent improvements include a whole house generator, a programable sprinkler, HVAC, many new windows, updated hardware, l"
"Elegant and classic new construction home to be delivered in late August 2019 on a flat lot in the highly desirable Shand Tract in the Tredyffrin-Easttown School District. This beautiful McIntyre and Capron designed home features 5 bedrooms and 3.1 baths. The timeless and traditional center hall colonial features a great open floor plan for today's lifestyle. One of the features that you most likely won't find in a resale are the 9ft ceilings on the first floor and basement level! Transoms, site finished hardwood floors, coffered ceiling in the dining room, partial cathedral ceiling with expansive wall of windows in the family room, tray ceiling in the master, heated tile floors in master bathroom, front door portico, and extensive trim work are just some of the luxury features you will find with this home. One of the most hardworking rooms in the house is always the mudroom, which has been well thought out and very user friendly with a built-in bench area and a large walk in closet. There is separate laundry room which means no walking through a busy laundry area. The gourmet kitchen has been designed with the sink at the pretty, triple casement window, which leaves the large island clean and open...so much more pleasant for entertaining or even just family dining. The little details like the office being tucked away at the end of the house and the powder room being recessed off the foyer are some of the special layout details that truly will appeal to everyone. Come early and you can customize the interior selections and really make this home yours!! Pictures are of a similar house previously built. Taxes to be determined. Listing agent is related to owner." "Clearing of land and excavation to begin in early March. Now is the time to have some input! Make all of your selections to be tailored, exactly as you envisioned your new home to be. Summer/Fall 2018 Delivery. Two homesites, almost three-quarters of an acre! Amazing setting, situated across from the Jenkins Arboretum! Built by Award-winning D'Agostino Builders. The floor plan has great flow and positive Feng Shui. The study is located where there's ultimate privacy, the open and functional kitchen is equipped with a double oven, stainless steel appliances, granite countertops and island. Site finiahed hardwood flooring in foyer, dining room, kitchen, breakfast room and formal powder room. There are two fireplaces, front and back staircase and much, much more! The exterior on each home will be different, so YOUR home will be unique! Experience the difference!" "Welcome Spring and Summer in this Pennsylvania Farmhouse Colonial designed by Ann Capron in the sought-after community of Stonegate in Devon. This custom 5-bedroom, 2.5 baths, 3959 square foot home has recently been enhanced with numerous high-end renovations, making this an updated and move in ready home for today's discerning buyers. In 2018 the Kitchen was newly redesigned and renovated by Malvern Kitchen & Baths. The Kitchen renovation included Shaker-style white cabinetry, Carrara Marble countertops, glass tile back-splash, large center island with recessed under-counter seating area, beverage center with built-in mini-fridge, stainless appliances including built-in Bosch microwave, Wolf gas range, LG double-door refrigerator, Bosch dishwasher, custom cabinet style vent-hood and more. The Kitchen opens to a sunny Breakfast Area and Family Room which includes vaulted ceilings, Pennsylvania Fieldstone fireplace (gas), built-in media cabinet, and newer sliding doors to Patio. The Main Floor additionally includes a gracious Foyer with turned staircase, Living Room with wood burning fireplace, Formal Dining Room with a wall of windows showcasing the arbor covered patio. a Study with handsome oak paneling and bay window, Mudroom, and adjacent Laundry Room. These rooms feature beautiful hardwood floors and recessed lighting. The Main Floor Powder Room was recently updated with designer tile flooring and pedestal sink. On the second level, a graceful landing quietly separates the elegant Master Suite from the additional 4 bedrooms. All bedrooms have exposed Hardwood flooring and Plantation Shutters. The Master Suite includes two closets, including a standard double closet plus a Walk-in Cedar Closet, separate dressing area, and a new Master Bath which was also redesigned and renovated in 2018 by Malvern Kitchen and Baths. These stunning upgrades include an over-sized shower with sleek Carrara marble walls, dual-control rain shower-head and hand-held fixture, new furn"
"Just Reduced! This impeccably maintained, exquisite home perfectly captures the charm and beauty of the Main Line. A covered, slate front porch warmly welcomes you into a grand foyer with a graceful staircase. Featuring an open layout, the living room with vaulted ceilings opens to a rear deck that spans the length of the house. Landscaped gardens and beautiful patios offer plenty of relaxing views. Immerse yourself in the updated kitchen with recessed lighting, elegant backsplash, an island with additional seating, as well as a large eat-in area. The master suite includes two walk-in closets and a luxurious bathroom with a steam shower and whirlpool tub. There is also an extensive LED lighting package for the complete interior and exterior of the home. It is within the Tredyffrin/Easttown School District which has consecutively been ranked #1 in the nation. This beautiful home offers plenty of space for entertaining guests and enjoying peaceful living." "Wonderful 4 BD, 4.5 BA (plus In-Law Suite with a 5th Bedroom and 5th Full Bath over the 4-Car Garage.) 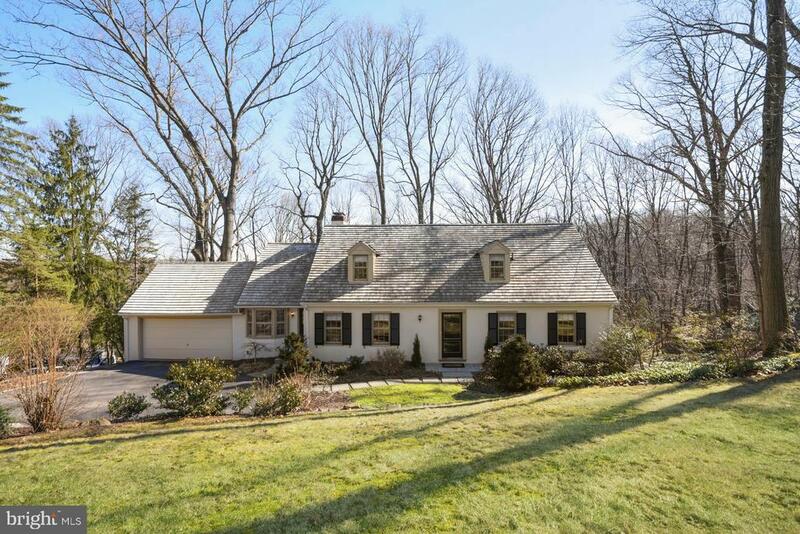 Dutch colonial located on a deep 1 acre lot on a quiet street in Devon. Nicely updated with views to the large deck and back yard from most of the home. Enter into the light-filled Great Room with wood burning fireplace and sliding doors to the back deck. Updated eat-in Kitchen with newer stainless appliances, island, a plethora of cabinets, and sliding doors with access to back deck. Just off the Kitchen is the formal Dining Room. Formal Living Room with wood burning fireplace and plenty of natural light. Office/Study off of the Great Room with large windows and sliding doors to the back deck. Main floor Laundry Room and half Bath in hallway between Great Room and Kitchen. Second floor has large Master Bedroom with wood burning fireplace, large walk-in closets, and updated Bath with separate glass enclosed shower and tub with jets. Updated hall Bath with shower/tub (with jets) and three more bedrooms on this level, one with en-suite bath. Large, finished basement with full Bath & door to rear yard (giving easy access to pool), generous built-in couches and 3 Murphy bed twin built-in beds to use when you have extra guests. Basement has sliding doors to back yard and fenced-in pool. Radiant heat throughout house! Newer Buderus heater. Top-ranked Tredyffrin-Easttown schools. Great location! Great house! (*some photos have been virtually staged)"
"Welcome to this beautiful 5 bedroom, 3 and a half bath Colonial in the coveted Shand Tract neighborhood of Devon. A very special home on a quiet cul-de-sac offering spectacular views and a fabulous floor plan. Situated on a serene cul-de-sac, this gorgeous property offers the absolute best of both indoor and outdoor living. Truly a home for all seasons. Located in the top-ranked Tredyffrin Easttown School District. The main level opens with a spacious living room featuring wood burning fireplace and Dutch door leading to the side field stone patio. The formal dining room is separated from the huge eat-in kitchen by 10 panel glass French doors. The kitchen offers a terrific dining area, gorgeous cabinetry, handsome tile backsplash, Corian counter tops, a pantry and doorways to the 2 car garage and spectacular rear deck. The first floor family room, featuring a wood burning fireplace, 2 closets and a full bathroom could easily double as a first floor master suite or in-law/au pair suite. Upstairs you'll find a nice master suite with walk-in closet, an additional closet plus a private bathroom with shower. Three additional generously sized bedrooms are serviced by a tiled hall bathroom. A fabulous laundry area completes the picture for the second floor. The wonderfully finished lower level features the home's third fireplace, this one being a floor to ceiling brick beauty with raised hearth. Two picture windows, a full wet bar and a doorway opening to the rear grounds, the hot tub and covered rear patio make this a fantastic second family room, party area, etc. The flexible corner room offers endless possibilities. A powder room, wine cellar and storage / utility room round off this truly welcoming section of the home. The vast rear deck offers spectacular views of the woods and babbling stream below. A magical place for entertaining, grilling or just relaxing. The massive deck, side patio, covered lower level patio and hot tub add up to four fabulous outdoor living s"
"Welcome to 422 Sylvan Lane! Stunning and spacious brand new home on a quite cul-de-sac street with two master suites offering approximately 3,332 sf of living space. This totally rebuild home includes: engineered 1st floor open floor plan with family room and powder room addition making this a colonial style floor plan to view. 1st Level possess a custom kitchen with granite counter tops, island, tile backsplash, new mahogany hand-scrapped hardwood floors and new high hat LED lighting throughout. 2nd Level offers three bedrooms and two full custom tiled baths. 3rd Floor has been rebuilt into a gorgeous master suite with private custom tiled bath, solar controlled skylights and 2 large walk-in closets. Lower level has the 2 car garage entry, new separate laundry area and rec room/office. Plenty of storage space in the partial basement. Enjoy the summers on the maintenance free Trex Deck. Additional new features include: Exterior soffits, siding, walls, ceilings, doors and premium Jeld Wen windows. All new plumbing and electric throughout and new 2 zone HVAC system. Tredyffrin-Easttown school district - top in the country. Proximity to train station, shopping and some of the best restaurants along route 30. This is a must see home! Schedule your appointment today - Will not last!" "Welcome to 336 Devonshire Rd, located on a quiet street in Tredyffrin-Easttown School District. It~s a custom 4 Bedroom and 3.5 Bath Stone Colonial Split home that has been tastefully updated with beautiful, quality finishes. Major renovations were done in 2011 which include a new roof, Hardie Plank siding, an expanded Dining room, the addition of a Breakfast Room, gourmet Kitchen renovation and gorgeous Master and Hall Baths. The Main and 2nd Floors have beautiful hardwood dark Oak floors throughout. High-end light fixtures, Asterix granite Countertops, Subzero refrigerator, Wolf gas range, Adelphi cabinets and a fully functional Island complete the Chef~s Kitchen. There~s a cozy office nook adjacent to the kitchen with custom built-in cabinetry. Enjoy coffee by the bay window and gas fireplace and in the Breakfast room which also has backyard access. Next to the expanded Dining room is the Great Room with coffered Cathedral ceilings, slate floors, 2 sets of French doors and detailed, custom woodworking and trim on the wood-burning Fireplace. Get comfortable on the carpeted Lower Floor adorned with built-in bookshelves complete with an updated Powder room. The tiled Mudroom/Laundry room makes for easy access to the 2 car attached garage and has custom cabinets for extra storage. Main floor windows covered with custom treatments have all been replaced by Pella. The Second Floor has 2 sizable Bedrooms with large, California Closets and a recently updated Hall Bath. Also situated on the 2nd floor is the Master Suite with His and Hers Closets and Luxury Master Bath with custom double vanity and cabinets. The Spacious Third Floor is the Attic/Bonus Room/4th Bedroom with Private Bath and Whirlpool tub. Additional amenities in this wonderful house include newly paved Driveway, a whole house Generator, beautiful Landscaping in the front yard and fenced backyard, cool covered Patio, and Indoor/Outdoor built-in Audio for entertaining. 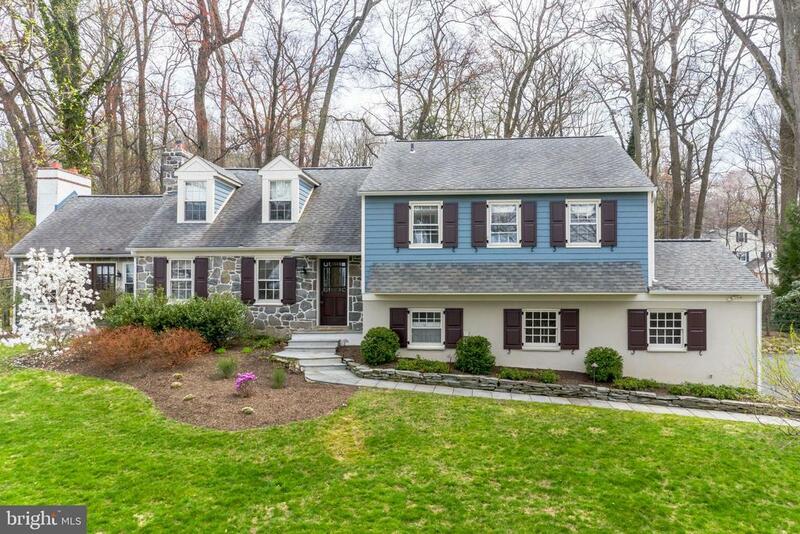 This home is well cared for and absolut"
"Welcome to one of the finest locations, The Shand Tract, in the Award Winning Tredyffrin-Easttown School District. 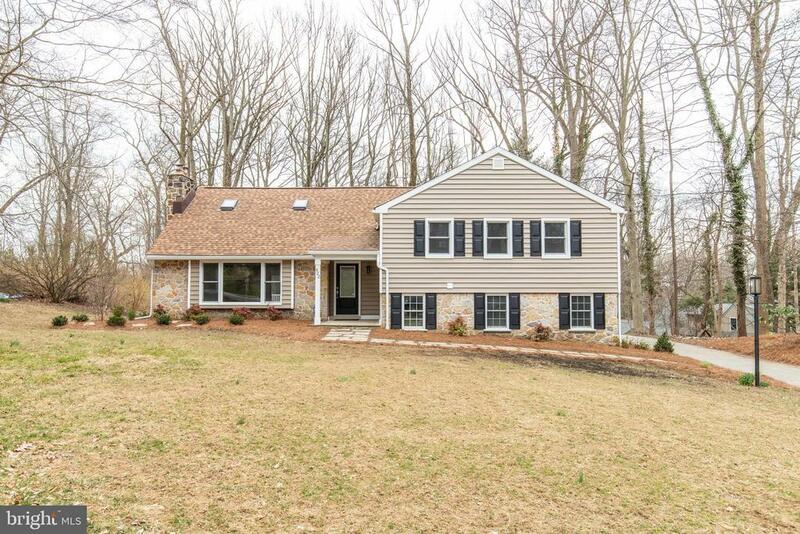 This lovely 5 bedroom 3.5 bath Cape Cod home is nestled on on a lush .69 Acre wooded lot, surrounded by nature. Enter into the vestibule which includes a nice sized coat closet and original hardwood floors throughout the 2 main levels. As you tour the Main Level observe the nicely finished original hardwood floors, crown molding, and chair rail throughout. There is a generous sized formal living room w/slate fireplace, custom built in shelves/cabinets, and a large picture window to enjoy the view and natural light. The spacious formal dining room will easily host those large Holiday family gatherings and make entertaining a pleasure.The eat in kitchen features a bay window and Dutch door and Wood Mode cabinets. You will also be pleased with the beamed ceiling & high hat lighting; and electric cook top with warming lights; plus newer self cleaning oven; new instant hot water and disposal, dishwasher, and side by side refrigerator w/filtered water. The kitchen highlights a newer sliding glass door stepping onto a large deck. The Master bedroom with full bath and walk in closet is located on the Main Level along with an additional bedroom/study/sitting room, and ceramic tiled full bath. An extra feature includes a door which can be closed off to make this wing a Master en suite. The Upper level provides all of the room you would want, including the flexibility to have a 2nd Master bedroom. Bedroom 3 includes finished original hardwood floors, double closet, storage seat, w/newer hardware. Access to a bonus/office/sitting room makes this a sure bet to provide flexibility for the family. Down the hallway you will find a walk in linen closet as well as a tiled full bathroom. Bedroom 4 is finished with newer hardware; finished original hardwood floors; closet, and ready for occupancy. At the end of the hall you will discover Bedroom 5 - a spacious"
"Under Construction - Lovely 4 bedroom, 4.5 bath end-unit townhome currently under construction in the heart of Devon! This beautiful home features a 9' finished basement, 5 hardwood flooring throughout the main level, Stainless Steel KitchenAid appliances, 42 soft-close cabinets with decorative crown molding, granite countertops with an undermount stainless steel sink, gorgeous 12x12 floor tile in all baths, granite vanity tops in the owner's suite and cultured marble tops in all secondary baths. Exterior features include a 2-car garage, seamless gutters, Trex deck off the kitchen and James Hardie Color Plus Fiber Cement siding. A great home in a fantastic location - within walking distance of Terrain and other great restaurants as well as world-class shopping AS WELL AS THE DEVON TRAIN STATION!.~ T-E Schools!~ HOA Fees are estimated and are subject to change. ELEVATOR READY! Homes completed by Rockwell Custom!" 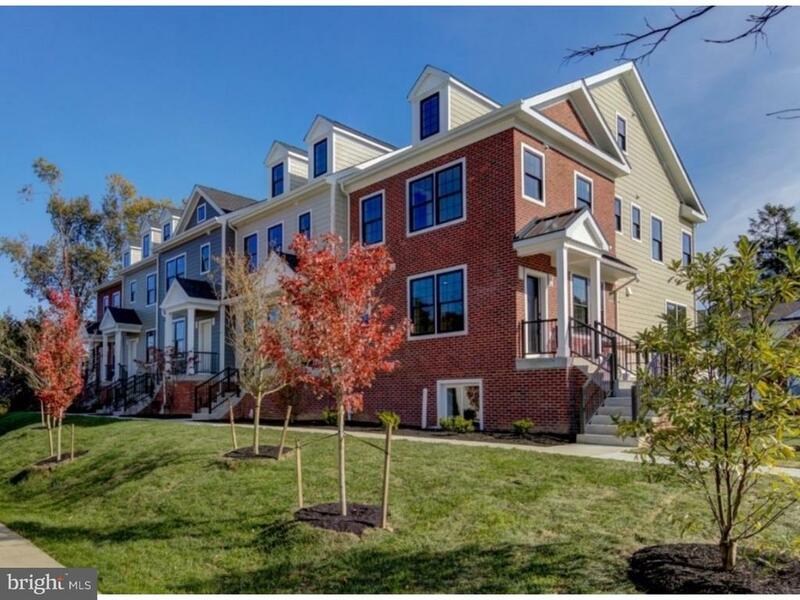 "UNDER CONSTRUCTION Lovely 3 bedroom, 3.5 bath interior townhome currently under construction in the heart of Devon! This beautiful home features a 9' finished basement, 5 hardwood flooring throughout the main level, Stainless Steel KitchenAid appliances, 42 soft-close cabinets with decorative crown molding, granite countertops with an undermount stainless steel sink, gorgeous 12x12 floor tile in all baths, granite vanity tops in the owner's suite and cultured marble tops in all secondary baths. Exterior features include a 2-car garage, seamless gutters, Optional Deck, James Hardie Color Plus Fiber Cement siding. A great home in a fantastic location and T-E Schools. Within walking distance to the new Terrain and other great restaurants as well as world-class shopping! HOA Fees are estimated and are subject to change. ELEVATOR READY! Homes completed by Rockwell Custom!" 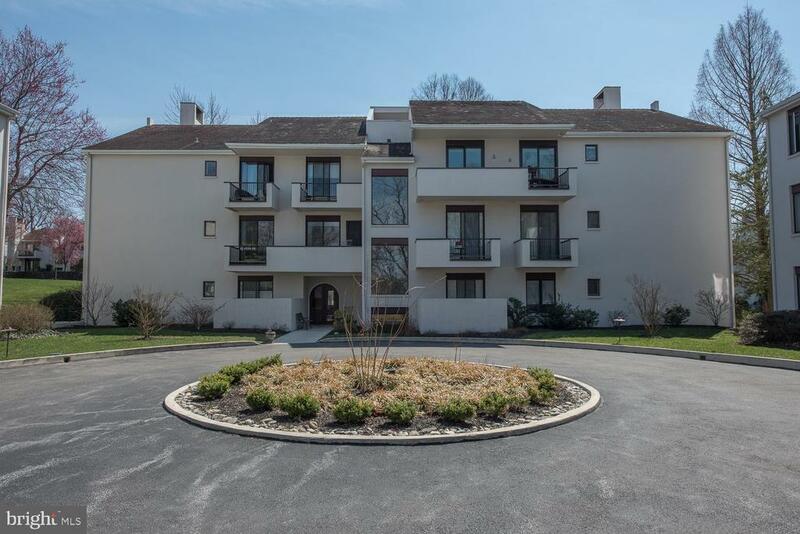 "9 Chamond is unique opportunity for a beautiful, well-located three bedroom condominium with that truly amazing Arbordeau lifestyle! The location of this flat is premium - just 150 steps to the pool, yet well set back from other units, for better, prettier views, optimum privacy and perfect elevations for living in abundant natural light and within nature. Second floor end 'corner' unit is just above it all, and offers three covered terraces for total integration from indoor to outdoor living inspired by the European style. The kitchen, the dining room and bedrooms all access these wonderful, outdoor 'rooms' for truly civilized living within and among the refuge of Abrordeau's gated, fenced 17 acre arboretum sanctuary.Private underground parking with two reserved spaces. Elevator access directly into this spacious and sophisticated flat with big windows, outstanding natural light, high ceilings, recessed lighting and upgraded kitchens and bathrooms. Open floor plan and wider doorways within the condominium here is unique, for better, more progressive interior space allocations and flow, entertaining and privacy. Keyed secure elevator opens to this unit's reception area and transverse center hall. New custom white-on-white tile kitchen with laundry area, breakfast bar and office hutch has white stone countertops, custom, modern black appliances, undermount double sink and under cabinet LED accent lighting.Kitchen opens completely to outdoor veranda thru oversize glass sliding doors and to adjacent formal dining room, also with large glass sliding doors to patio. Separate, lighted hall bar with refrigerator and wine storage for entertaining. Dining room opens beautifully to formal living room with fireplace, oversize windows, elegant parquet floors and custom wallwash lighting. Cozy 'hideaway' study off living room for TV or Office.Large master bedroom has ample closet space, en suite modern, luxe master bath with custom glass shower enclosure, twin bowl vanity and"
"Located in top rated Tredyffrin-Easttown School district, is this well maintained home. This freshly painted home sitson one of the largest and most open lots in Devon. Surrounded by 46 acres, protected from future development, this split level home boasts 5 bedrooms and 2.5 baths. The extended eat-in kitchen with hardwood flooring, granite counters and skylight allow you to entertain your guests with cocktails or have a quiet dinner on a Sunday. Off of the living/dining room are views of the private backyard, which can be enjoyed from the couch or the oversized back deck with built in seating. The lower levels include a den with a wood burning fireplace, laundry room and additional recreation room. Hardwood floors and natural light throughout this home give it an airy and open feel no matter where you are! The fifth bedroom can be used as an office, or can be added onto the master bedroom to create a huge master retreat! Tredyffrin-Easttown, Conestoga High School is one of the top rated districts in the entire country! 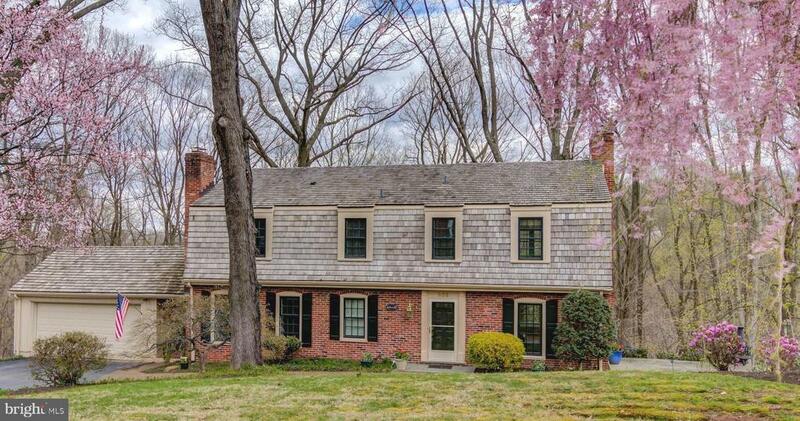 Convenient to Valley Forge Park and The Paoli Local to downtown, this home is a must see! If you are ready to make new memories in a great home that has been loved and lived in for many happy years, schedule your appointment today!" "While this home is old, it is not bound by any historical registry restrictions. Welcome History Afficiandos! 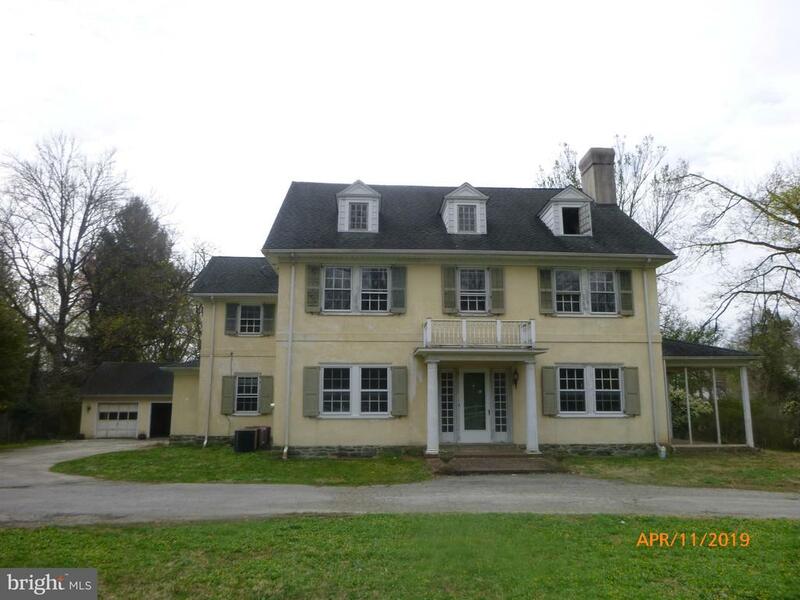 This home is the oldest continually occupied single family dwelling in Chester County. Anthony Wayne's uncle built this home in 1748. It is a Trinity home with three identical floors and three fireplaces, and in later year a den was added. This very special property in absolute perfect condition: beautiful hardwoods, original glass, stunning fireplaces and countless other Old World details, but with updated plumbing, electrical and an updated WoodMode kitchen. The lot is a peaceful 1 acre parcel in the heart of Devon. Prospective buyers are welcome to explore the possibility of expanding the home. The current sellers have always maintained it as a rental property, most recently getting $2k per month in rental income. " "Great opportunity to buy below market and decorate to your own taste! 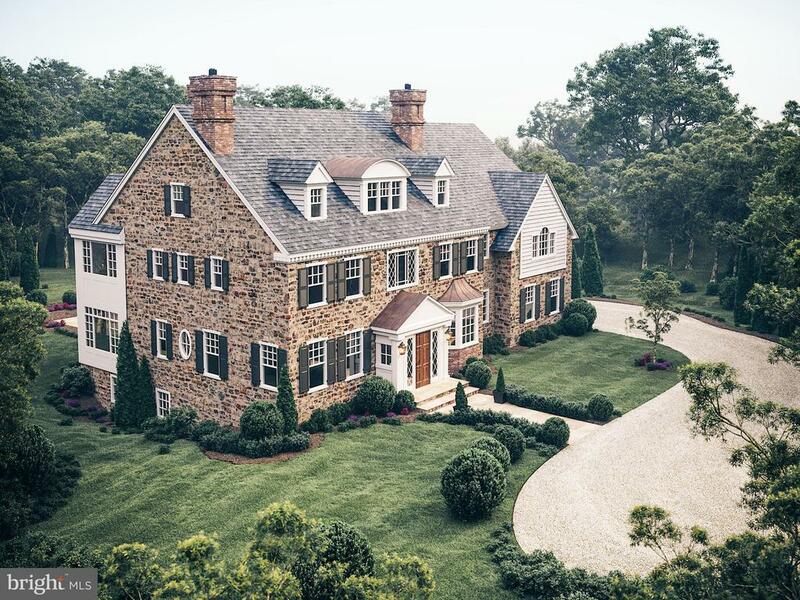 This giant single Colonial home in Devon has it all. 8 bedrooms, 3 1/2 baths and filled with endless possibilities. Circular driveway, oversized garage, side porch. Make it your dream home. ***Employees or family members residing with employees of JPMorgan Chase Bank, N.A, its affiliates or subsidiaries are strictly prohibited from directly or indirectly purchasing any property owned by JPMorgan Chase Bank, N.A***"
"Rare end-unit townhouse is now available in the prestigious gated community of Arbordeau. This townhome is ideally and uniquely situated within Arbordeau, allowing direct access from the front door, rear flagstone patio as well as the two car parking garage. The spacious and light filled main level features oak hardwood floors , 9' ceilings, recessed lighting and crown molding. An arched wood burning fireplace flanked by a built in bookcase graces the Living Room and energy efficient sliding doors leads to a large Pennsylvania flagstone patio. The well-organized Kitchen features all Bosch stainless appliances, granite counters, 42 cabinets and a deep pantry. Guests and family will enjoy sharing meals in the light filled dining room. The lower level is an entertaining delight as the media/family room features a granite wet bar, refrigerator and recessed lighting. The second level Master Bedroom Suite has stunning newer carpet, crown molding, recessed lighting, copious closet space and Master Bath. Catch the morning sun with a cup of coffee on its private balcony. The second Bedroom Suite has an updated bath and another balcony on which to enjoy sunsets. This unit includes a large storage/utility/ laundry room with LG washer /dryer, utility sink and another clothing closet. Arbordeau is situated on nearly 17 acres of beautifully landscaped grounds and offers a clubhouse, swimming pool and three guest rooms , (nominal fee for guest room) . Centrally located within all the Main Line offers and close to Septa Rail line, world class shopping, and dining; Trader Joes, KOP Town Center, Devon Yards, Whole Foods, Wegmans"
"$30,000 Price Reduction. Motivated Seller! 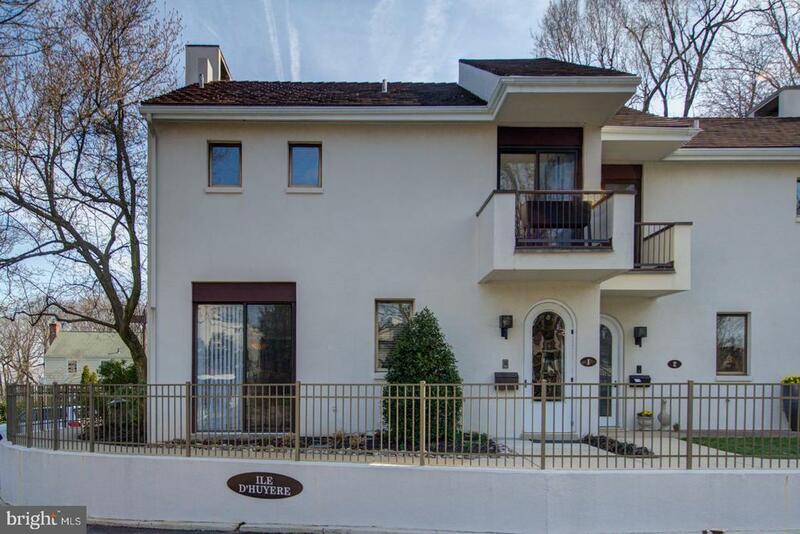 MAIN LINE ELEGANCE + URBAN CONVENIENCE + AWARD WINNING TREDYFFRIN- EASTTOWN SCHOOLS + LUXURY LIVING + CONTEMPORARY DESIGN = this wonderful end unit townhouse in premier Devon location. The formal entry leads into a charming open foyer/library overlooking the lower level living area with a two story window wall & sliding doors to the private fenced garden courtyard from the large fireside great room and fabulous open chef's kitchen. This is truly a blank canvas for a creative spirit. Members of the cultural arts world will appreciate this beautiful contemporary design creating a living studio. Functional work spaces and luxury spaces for living. A light filled environment. The second floor offers 3 lovely bedrooms and two baths, the third floor has a large charming bedroom with an additional walk in storage room and large double closet. The interior offers expansive wall areas to showcase art pieces. Enjoy the charming outdoor garden area for relaxing & dining that catch the early morning and evening light. The basement accommodates a full laundry plus storage spaces (second laundry hook up on the second floor.) Walk to the Strafford Train station, the Devon Yard for restaurants, entertainment & elegant shopping. The food market and convenient public transportation are just a short walk away. This property is so rare and a real treat for all to experience. Move in condition with all the amenities for today's buyers. Property is value priced for the buyer's market and is actually below published internet remarks as well as the neighborhood new construction. This is an amazing opportunity. Call for a personal tour. The square footage in Public Records of the 9 units in Devonshire Commons may not be accurate. New roof completed in August of 2018. Devonshire Commons is independent of the units across the parking lane**Devonshire Commons runs between S. Valley Forge Rd. and Poplar Ave. The location of "